A sculpture of the Wright Brothers at the Wright Brothers National Memorial in Kill Devil Hills. Teachers who visit the Memorial can now use 16 lesson plans based on the historic flight to teach a variety of subjects. 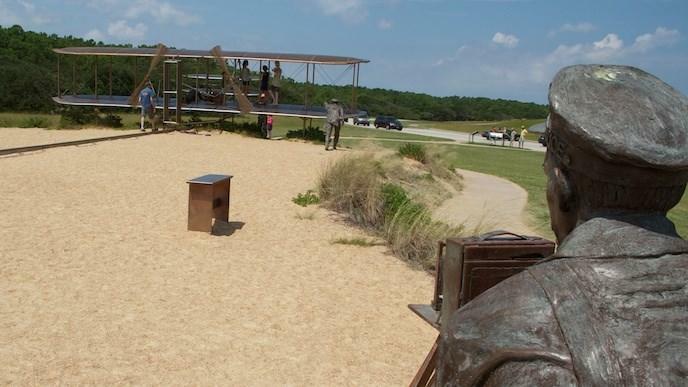 Students across North Carolina learn that the Wright Brothers took their first flight in Kitty Hawk, but park rangers at the Wright Brothers National Memorial want teachers to draw on that story beyond 4th and 8th grade state history classes. 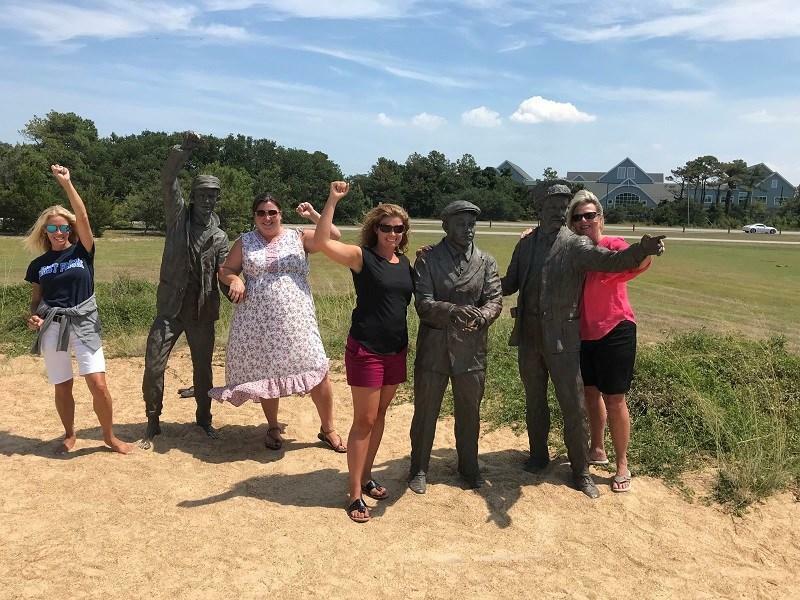 Four Dare County elementary and middle school teachers have teamed up with staff at the National Memorial to develop a series of lesson plans based on Orville and Wilbur Wright’s historic flight to teach a variety of subjects. For example, students can do “trial runs” by foot in an open field to mimic the Wright Brothers’ early flight trials and then learn to use the same algebraic formulas they used to calculate the distance, speed and time of their flight. From left to right, Dare County teachers Debbie Dickerson, Heather Barton, Shannon Brinkley, and Mary Winstead at the Wright Brothers National Memorial. The four teachers helped develop the 16 Wright-themed lesson plans now available on the National Park Service's website. Prugsawan says the 16 lesson plans are designed to be used during class field trips to the memorial or in classrooms. The plans are appropriate for a variety of grades and align with national teaching standards. The lesson plans are available free at the National Park Service's website. Teachers planning field trips to the Wright Brothers National Memorial can look forward to the re-opening of its visitors’ center on September 29. The center has been closed for renovations and the installation of new interactive exhibits. 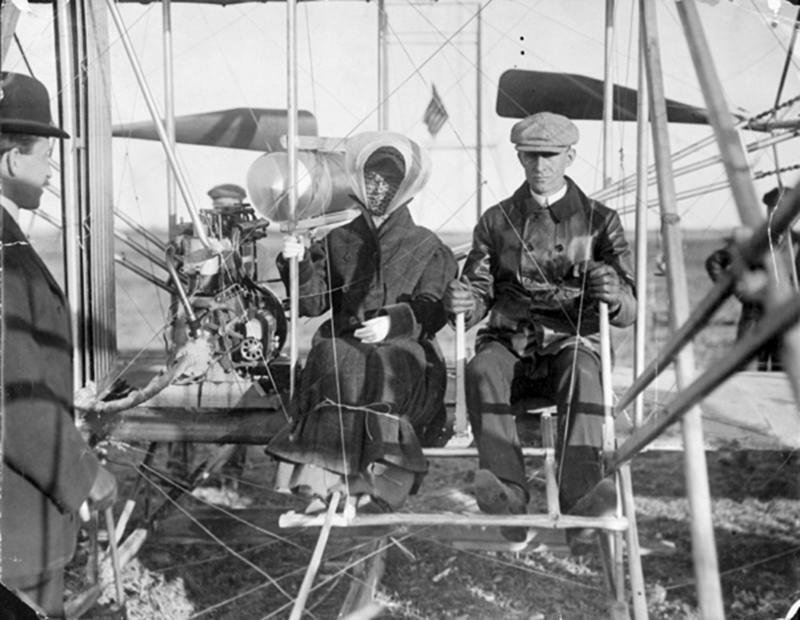 The state of North Carolina has many claims to fame, but there is likely none more popular or controversial than the slogan on the state license plate: “First In Flight.” The phrase commemorates the spectacular achievement of brothers Wilbur and Orville Wright who piloted their first flight in Kitty Hawk, North Carolina in 1903. 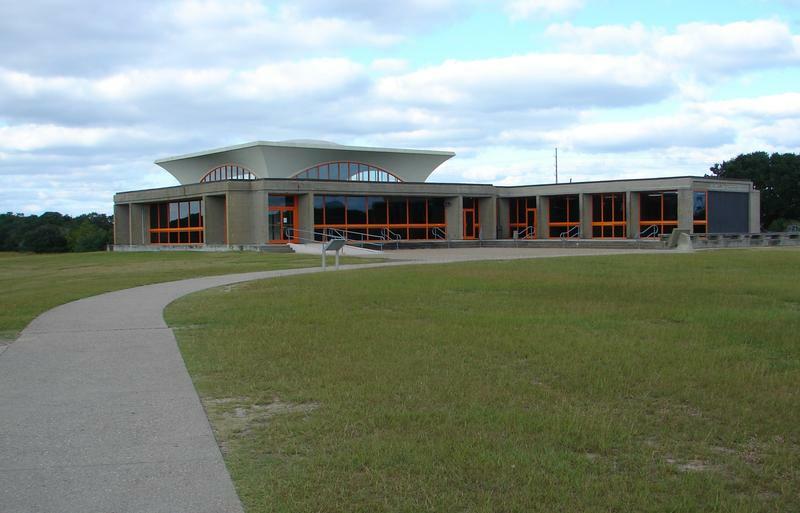 A Raleigh architecture firm will handle a $5.2 million renovation and rehabilitation of the Wright Brothers National Memorial visitors center and museum. David Black is the project architect for HagerSmith Design. Black says the building was built in the late 1950s in the style of the Philadelphia School of Modernism. 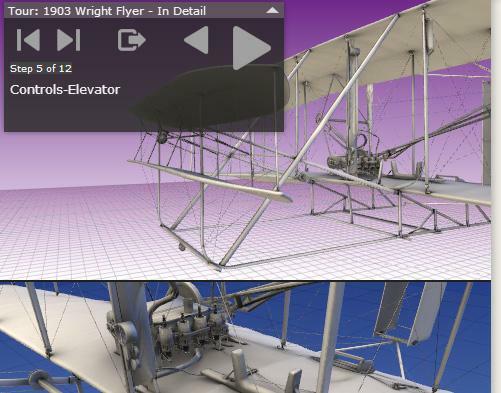 What Made The Wright Brothers' Plane Innovative? It's been 110 years this week since the Wright Brothers successfully got their heavier-than-air flying machine off the ground. The "aero-plane" had a number of really cool inventions.